For beginners, the financial term Day trading/ Day Trading Software might as well be a foreign language. If you are just getting started, or even if you are an expert online trader this article is for you. First you should understand what Day Trading is, so you can best choose your software and Trading Platform. Day trading is the art trading, buying or selling of stocks and commodities in a short timeframe, typically just a day. The goal is to earn a tiny profit on each trade, and then compound those gains over time. Day traders rely heavily on stock’s and the market’s fluctuations to earn their profits. What Tools do I need to use day trading software? Whou need to chose a software that works well on your computer or laptop. A software that works poorly or crashes might end up costing you a lot of money in lost profits or unnecessary loses. There are good software available that work well on both PC and mac. Many new traders make the beginner mistake of using the wrong tools. Using the right day trading software and day trading tools is critical to your success. While a skilled trader can make do with less than ideal tools, beginner traders need every advantage possible. What is Day Trading Software? Day Trading Software is software usually provided by brokerage firms that enable their clients to trade financial products, and manage their accounts. 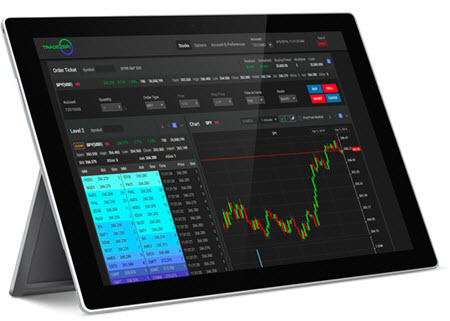 Popular day trading software include Meta Trader 4 and Meta trader 5. Day trading software is the general name for any software that helps you analyze, decide on, and make trades. It may grant you access to all the technical analysis, indicator tools, or resources you need. The best software may also identify trades, and even automate or execute them in line with your strategy. 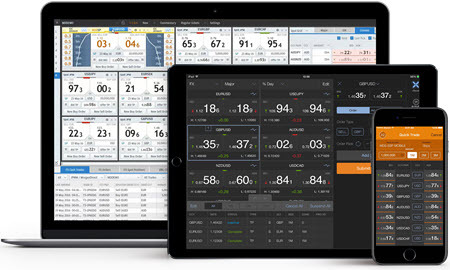 Trading software implements trading of financial products such as: stocks, commodities, and currencies; software is usually provided by brokerage firms that enable their clients to trade financial products, and manage their accounts. The features and functions available may differ from one software package to the next and may come in different versions. Apart from brokers, independent vendors also provide day-trading software, which tend to have more advanced features. Data – Before you start trading for the day you need to know the prices of the stocks, futures, and currencies you want to trade. Trade execution – With your data in hand, and after analyzing it on a chart; at some point you’ll want to enter a trade. To be able to do that you will need to sign up with a broker and get access to a trading platform. A lot of software today will also allow you to develop your own trading strategies with an application programming interface (API). They might also allow you to automate your trading by using signals or by copying another traders transactions. Charting – Successful trading will usually use good TA charting software.. Many vendors will also offer data feeds. These these software will allow you to generate trading signals based on technical analysis. Select a more advanced package, and you can benefit from more indicators, and the ability to back test your strategies. Broker vs. Independent vendor – A lot of brokers will offer software directly linked to their in-house systems, but you can also use third-party applications through independent software vendors; with brokers that support such incorporation. Third party software will usually offer more and better features then the software you get for free with your account. Functionality-allows the setup of trading strategy (based on technical indicators, news, trading signals or pattern recognition) in the trading system. Automated order-placing function, automated direct marketing (usually with Direct Market Access) once the criteria are met. Analytical tools- continue assessment of existing holdings (if any); market developments and features to accordingly act on them. Continue to look for sell opportunities at identified prices for a specific time. If no opportunities are identified in specified time, square off the position at loss. Set stop loss limits and square off the buy order, if the limit is hit. Switch to an averaging technique—buy more stocks at lower prices to reduce the overall price. Automated software is a program that runs on a computer and trades for the person running the program. It is hard to create a good software and many software on the market is not very good. To be able to to create a good software you need to have a team that are skilled programmers and that have in depth trading knowledge, Automated trading is the truest test of whether a strategy is feasible or not. Manual trading has too many variables. There are a number of different automatic trading software available on the market. Examples of automatic trading software include Expert Advisors (EAs), robotic trading, program trading, automated trading or black box trading. Before you buy into the hype research free day trading software; there are many free online day trading software to choose from for beginners.